As part of its action plan, NCCD had recommended a nationwide base line survey on the status of cold storage infrastructure and this is being undertaken and monitored by NHB. This study involves onsite visits to about 6500 cold store locations and in its inception is already indicating some critical information which will provide directional impetus to policy makers. Relevant inputs from our industry participants have been passed on as recommendations to various other ministries including the finance ministry providing critical policy inputs to further develop this sector. These we expect to extend into even more positive support for the next phase of development in cold-chain. Lack of appropriate skill sets both in management and operation of cold-chain is a frequently mentioned bane. Here too, NCCD is undertaking actions to provide value-added training for this sector both for the private operators and for govt officials. 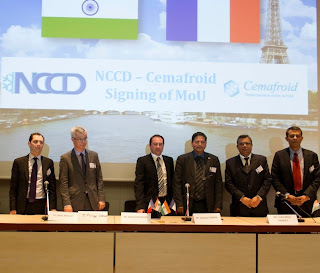 More recently, in April this year, NCCD signed a historic MoU with Cemafroid of France to collaborate in the development and dissemination of knowledge base, specific to India. Those from the cold-chain industry will recognise Cemafroid as the premier knowledge centre in the fields of refrigeration and cold-chain management; its roots go back to 1958 when initiated to develop cold-chain in France by the French Ministry of Agriculture. 3. Could you please let people know about your future initiatives for the greater interest of the country's economy? Most of the future initiatives undertaken in guiding policy interventions will be derived after review of the on-going cold storage study. In the field of transportation, NCCD shall promote multi-modal usage (both domestic and international) through collaborative initiatives at logistics hubs along the DFC in the western and eastern sectors. In providing direct and immediate interface to its participating members and through its technical committees, NCCD is also ensuring stakeholders’ inclusion in future policy development and assistance progammes. NCCD also intends to promote alternate energy use in cold-chain, especially in low-grid or off-grid regions with government support to extend the cold-chain utility into such areas. NCCD is also considering optimisation of fast track road transportation for perishables in alignment with a concept wherein RFID tags would be fitted on transport trucks, and all interstate checks would occur only on toll points. This would do away with intermittent checking enroute and speed up transit times for temperature sensitive cargoes. 4. 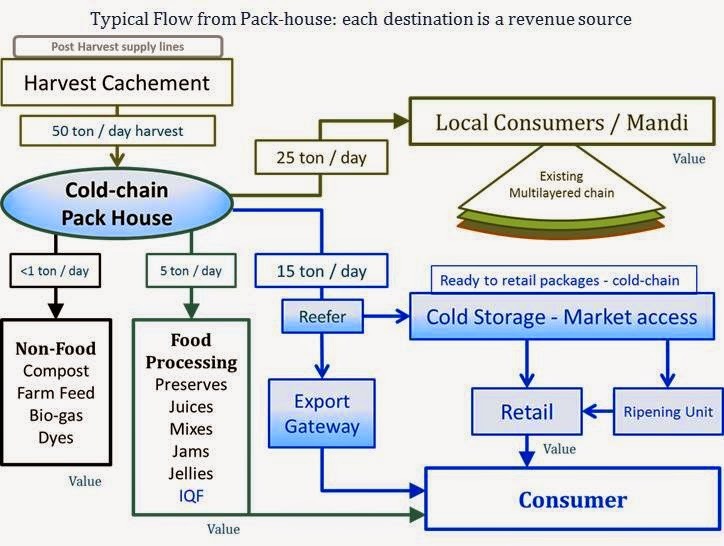 What more benefits can the cold chain industry people expect from NCCD in future? Do you have any facilities/scheme especially for the third party logistics service providers? All existing financial support schemes are to the benefit of third party logistics. The schemes facilitate use of modern technology, support upgradation and modernisation of old infrastructure; provide special incentive to reefer truck operators and support training and capacity building in this sector. These support options include 40% to 55% subsidy for either stand-alone development or for integrated projects. Your readers ought to be aware that 150% tax deduction on the capital invested in cold-chain is also permitted. All this is in addition to lowered custom duties and excise waiver on related infrastructure goods. All third party service providers use these tools as part of their managerial service. Furthermore, specifically for the service providers, service tax exemption in provided when servicing (storing, transporting, handling) agricultural produce. There are also special transport assistance in form of freight subsidy (upto 50%) when exporting agricultural produce. 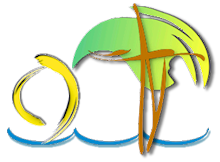 The possible benefits that NCCD can promulgate are determined from inputs received from its participating member base. As more of the industry interfaces with NCCD, there will be many more action points that shall develop in the future. It is noteworthy to understand that benefits cannot be eternally extrinsic to any trade. The industry has to implement technology and best practises such that the benefit to them eventually accrues intrinsically from their business activities. Development of any industry has two aspects, the first in its initial birthing and then in its maturity through bringing optimisation. The latter is largely through technology and knowledge alignments, the first includes motivating through fiscal and financial interventions. NCCD hopes that we move onto the second stage earlier than later. The main benefit the industry can expect from partaking in NCCD, is having direct representation to policy makers and thereby abetting in future direction setting exercises. It is people from industry who will fulfil as our various committee members. These committees will give shape to future cold-chain development as part of our Public-Private participatory mandate. Meanwhile, at NCCD we feel that the industry has to appreciate the long term strategic play in serving the basic needs of a billion plus people, large segments of which are eternally raising the aspirational bar and driving continued demand. While various subsidies and assistance programs exist, the physical entry barrier is already mitigated and it is only the lack of strategic understanding that needs to be overcome. In coming years, one is sure that there will be many who will regret that they missed this coolest of buses in the hottest country!